Crafters Cupboard: First Challenge for 2015 - February Challenge "Hearts A Flutter"
First Challenge for 2015 - February Challenge "Hearts A Flutter"
Hi All - It's Julie …..
We have a new challenge for you and an opportunity to win a $20 voucher to spend at Crafters Cupboard. You can find all the rules and guidelines at the bottom of this post for our challenges, so make sure you are up to speed with 'how to'. This months challenge is Hearts a Flutter - a broad topic - but it is the month of love! We can't wait to see what it inspires you to come up with. The design team have been creating to give you some inspiration, before you get cracking with an entry to see if you can win the voucher. Dannii has created a vibrant art journal page using a variety of products - some from Crafters Cupboard and some from her stash. Isn't it great … hope you are inspired to create your own page. Bri was inspired by the 'love' theme and has created a decorative 'heart' as a decor piece. It would look great as decoration on gift wrapping. 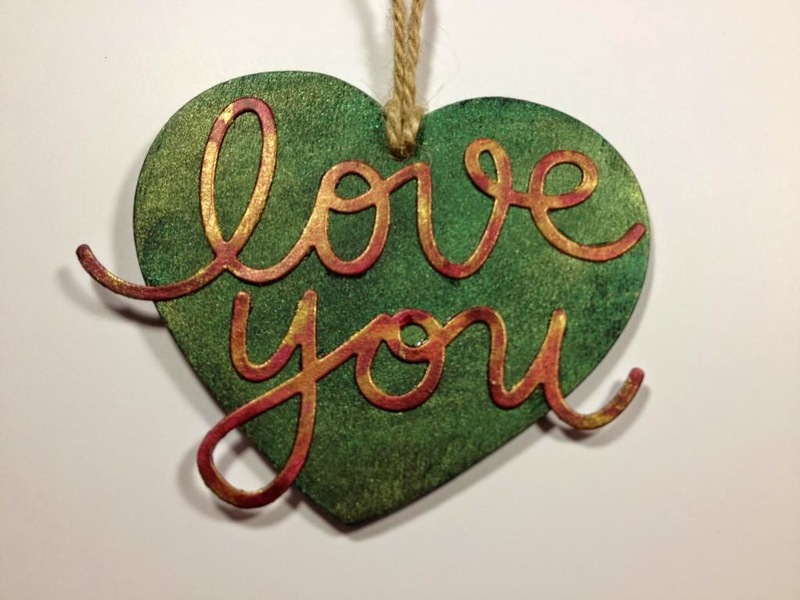 She's made this using a wooden heart from her stash with die cut words. The heart has been coloured with Silks and the words with Treasure Gold. If you haven't used Treasure Gold before, then you don't know what you're missing .. a fabulous product to give any project vibrancy and life. I have created an altered cover, this could be a journal, address, note book or recipe book. It would also make a great card topper!! Try making one for the 'man in your life'. I would like to participate, but can't see the Inlinkz.